Our father which art in Bellevue, hallowed be thy name. Just a couple weeks ago, The Electronic Three came through and showed us what all the future holds in store for our favorite hobby. So naturally, we decided that the best way to honor them was to fill our respective Steam libraries with hordes of old games that we'll likely never get around to playing. Like some sort of post-apocalyptic scavengers, the Co-opticrew will be scouring the Summer Steam Sale for tiny bits of morsel to stow away in hidden pockets. Occasionally, when we're all alone, we'll pull them out for a brief moment and just look at them. Never consuming, only admiring. Such are the ways of PC gaming. As far as actual consumption goes, it's looking like we'll be diving into the world of Idol Culture/Turn-Based Battles, killing monsters while consuming vast quantities of chicken, and lamenting the day Bastion was added to the Overwatch roster. Check it out! Nick Puleo (@NickPuleo) - "Will probably cruise the Steam sales and find something to buy. Will I play it? Probably not. The game will be buying a bunch of games I'll never have time to play." Jason Love (@JLove55) - "It's been a long week, so I bought Tokyo Mirage Sessions #FE for myself as a way to make up for it. When not navigating the Tokyo pop scene and battling monsters, hopefully the wife and I will be progressing further in our Pathfinder Adventure Card Game campaign." 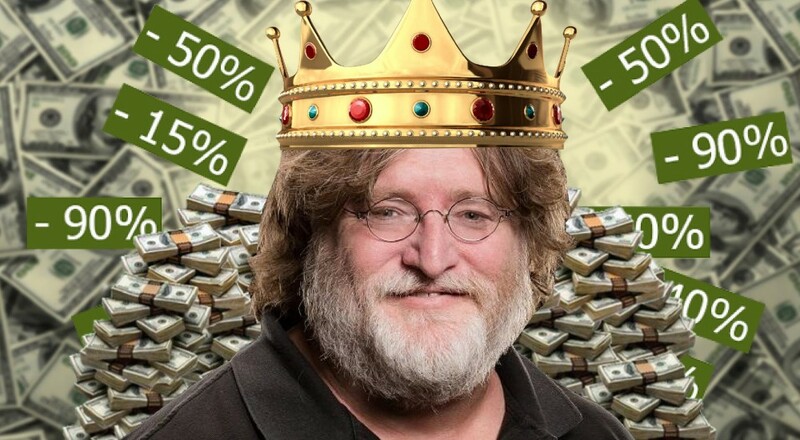 Mike Katsufrakis (@Pheriannath) - "Gaze into the abyss known as the Steam Summer Sale." Marc Allie (@DjinniMan) - "I picked up the new Gauntlet on the Steam sale, plus some Overwatch here and there as well." Eric Murphy (@smurph_em) - "I'm avoiding the Steam sale by going camping this weekend where I'll be far removed from the temptations of affordable games. No gaming or streaming for me this weekend." Locke Vincent (@LockeVincent) - "BUY ALL THE GAMES!" Sam Tyler (@thereelsamtyler) - "Halo 5 is my game this weekend. Bargain Chief!" Tally Callahan - "Tyler's having a friend from college over so we'll be playing a board game or two. Besides that, more Guild Wars 2's PVP." Taylor Killian - "I'll be throwing space garbage at robots in Star Wars: The Old Republic." Enoch Starnes (@enochstarnes) - "I'll be getting frightened by pixelated ghosts in The Last Door, getting in more Total War: WARHAMMER for review, and, as always, playing more Overwatch." How about you? Will your hard-earned cash be spent on Steam's many co-op goodies, or are you trying to remain financially responsible (boring)? Let us know in the comments! Page created in 0.5494 seconds.